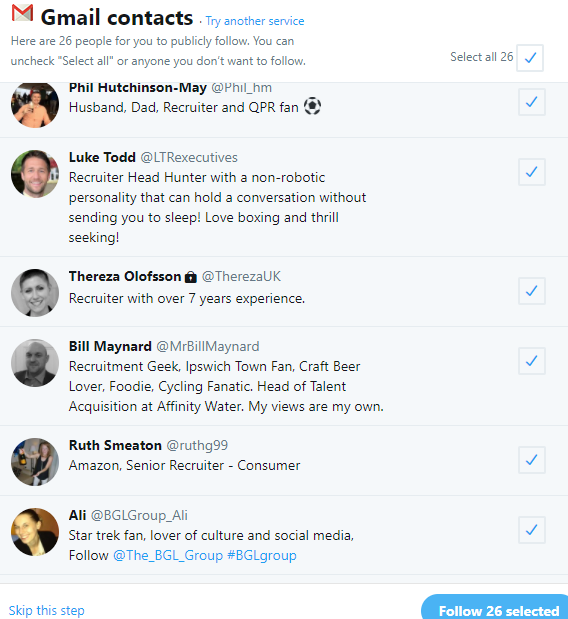 This post shows how to find the LinkedIn profile from an email address. 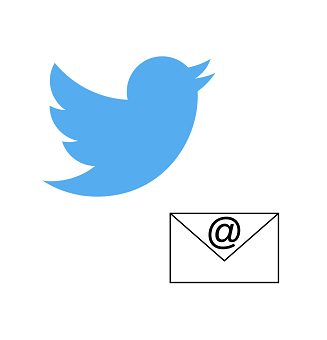 I will continue “the series” by explaining how to find the Twitter ID from an email addresses. In fact, though the method requires several steps to follow, the process will discover the Twitter IDs for ~500 email addresses at a time. Step 1. Create a Gmail account and upload the 500 email addresses in question. To clarify, this account should have exactly these 500 contacts (or fewer). Step 2. Go to https://twitter.com/who_to_follow/import and point to that Gmail account.